Our products are the cherry on top. Making your end product look professional is important, isn’t it? Your team has put countless hours on it - it’s a flawless job! You just can’t go applying a tacky sticker with your logo on it. Take a look at our products instead. They’ll really set your product off. Cost-efficient markings, with a thick adhesive backing - and a brilliant crystal-like sheen. We’ll print your electrical, mechanical or hydraulic markings with your brand colors and logo on the back-side of acrylic for a hard-wearing marking tag. The markings come pre-attached to a sheet, so finding the correct one is easy. If you are looking for a low-profile, sturdy, and weather-proof decals for your product, we’ve got you covered. Printed on the back of a thin UV-protected sheet, the front is left with a smooth satin finish - giving your product a professional feel. We can also provide panels that can be back-lit. If you’re looking for something that will stand up to the very toughest environments - you should look no further than good old stainless steel. We’ll supply you with beautiful brushed markings, of any size and shape - with a deep black engraving. If you’re looking for something lightweight and just as durable, we also offer anodised aluminium. 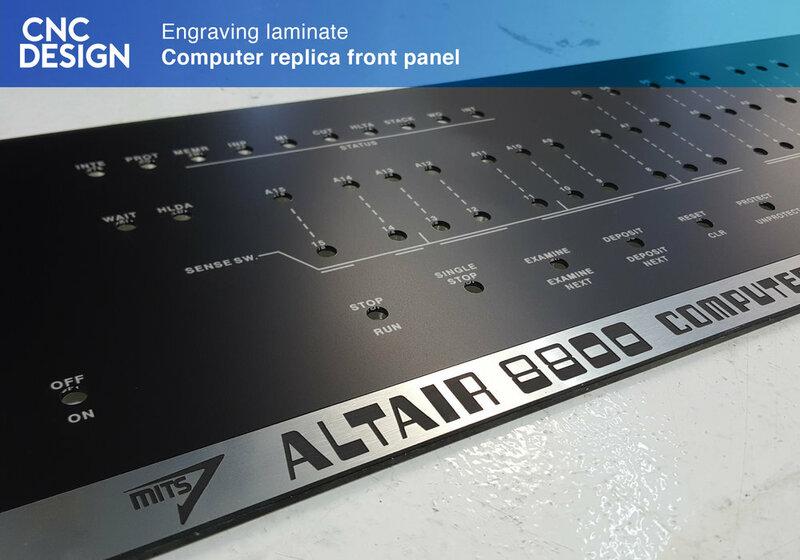 We are rocking the state-of-the-art in laser engraving and marking machines, so whatever you need to put your brand on, it shouldn’t be a problem for us. 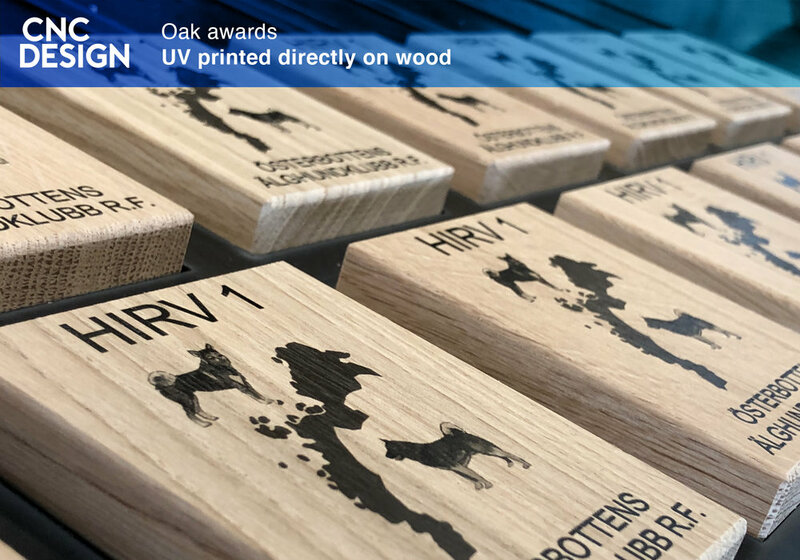 UV printing is a fascinating technology. No longer do you need to manufacture expensive image carriers for offset-printing, or make silk-screen masks. 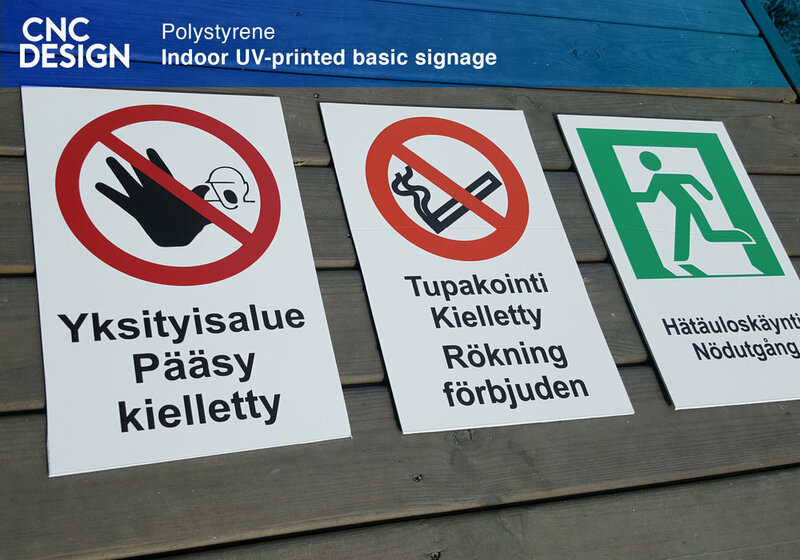 We can print full color CMYK and white on pretty much any material, given it’s under 10cm thick. The good thing with laser engraving machines, is that they can also cut organic materials. So if you need plastic-, wood-, or paper parts, we are happy to help.